One of my favorite pendants. This is made with two squares cut from sheet metal and soldered together. One has been form folded and textured, the other has been textured using a rolling mill. 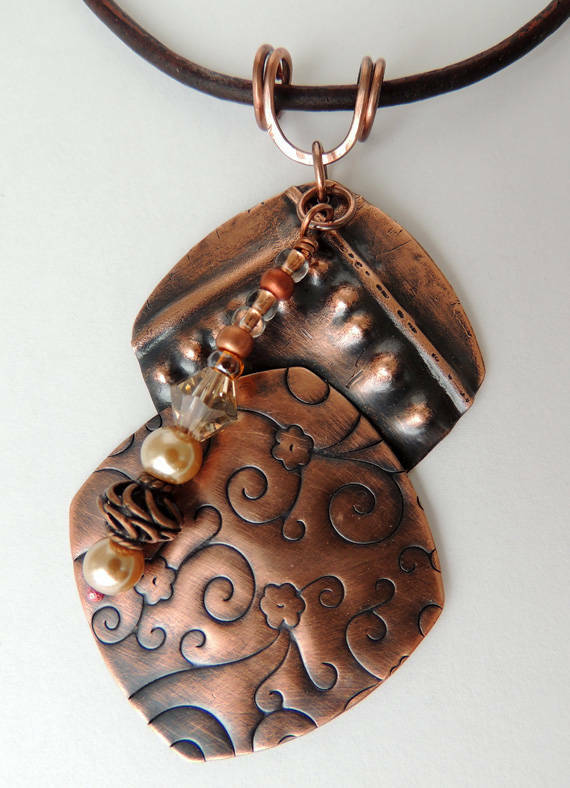 I have added Swarovski crystals, Swarovski pearls, copper & Czech beads. 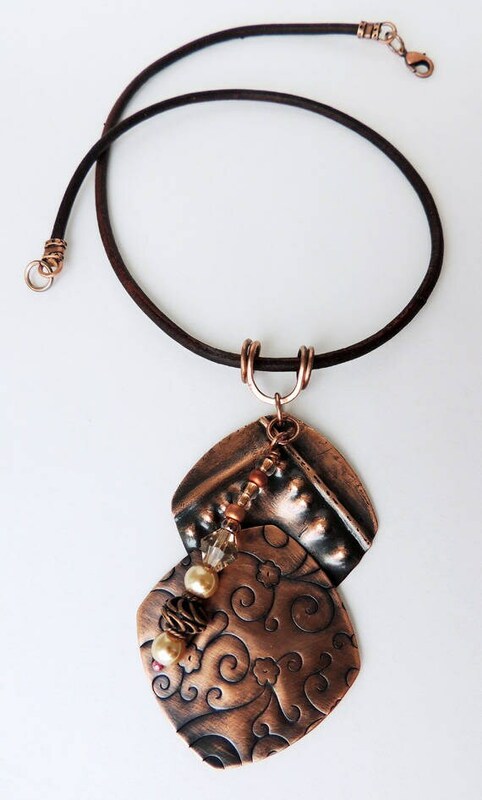 The leather cord is a chocolate brown 3mm cord with copper ends and clasp. 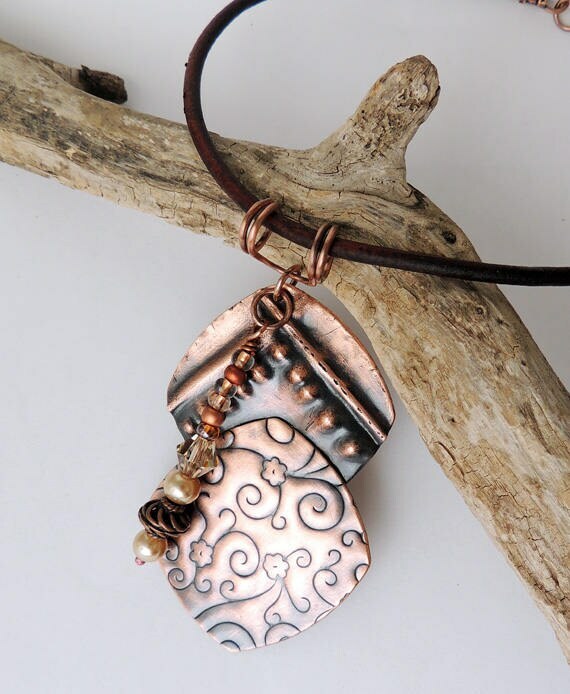 The pendant measures 2 1/2 inches long x 1 1/2 inches wide. The necklace is 17 inches long.